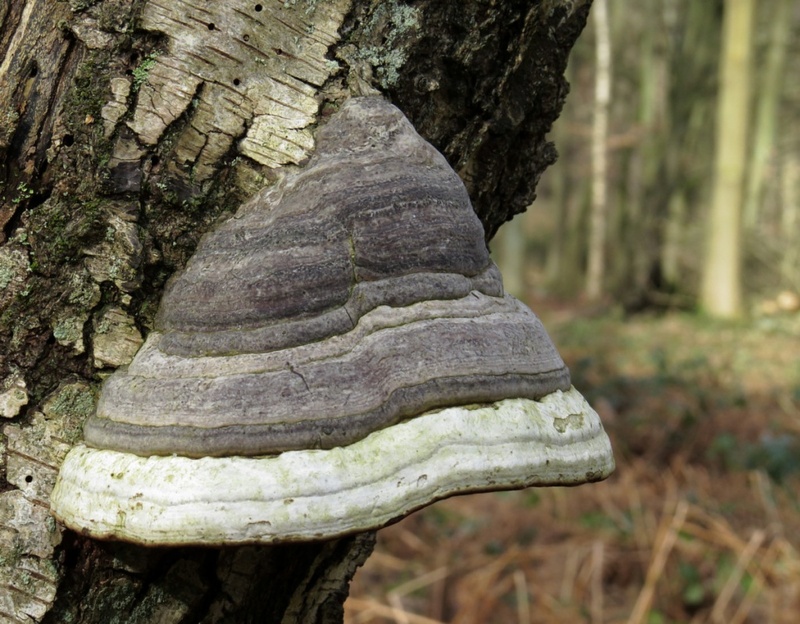 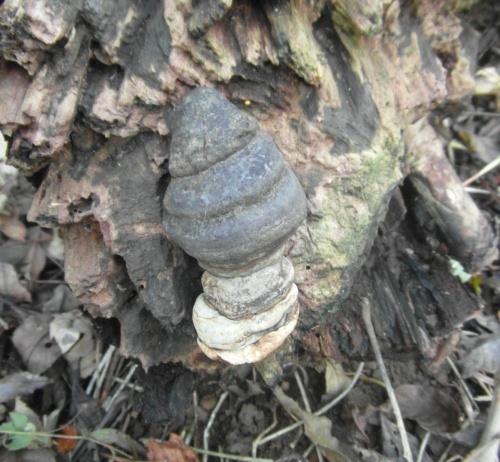 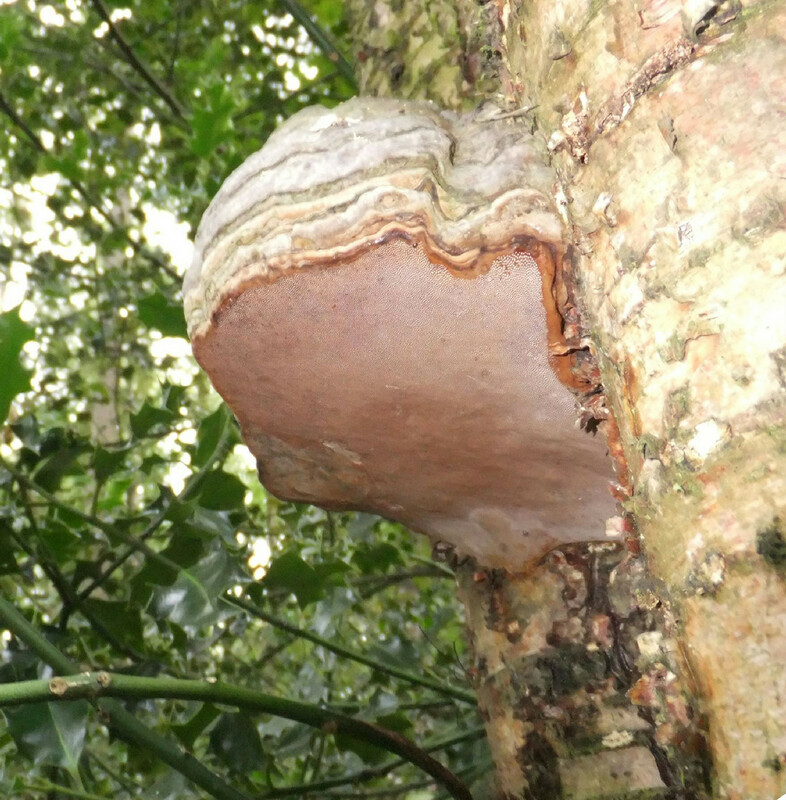 The very large (5 to 45 cm) fruit bodies are shaped like a horse's hoof and vary in colour from a silvery grey to almost black, though are normally brown. 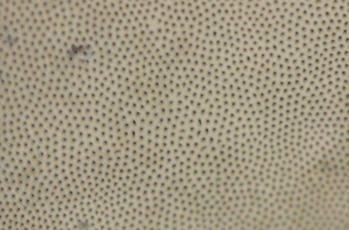 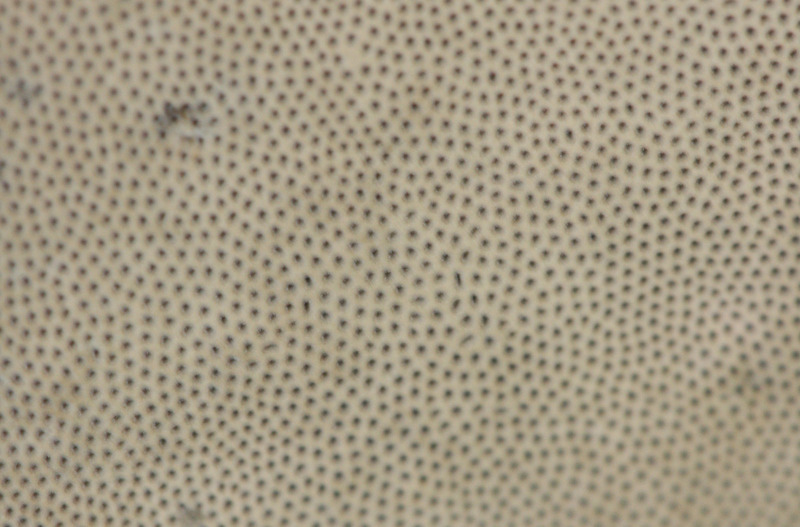 The species typically has broad, concentric ridges, with a blunt and rounded margin. 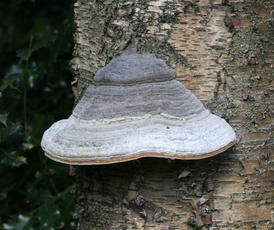 Mainly on Birch but occasionally recorded on other deciduous trees. 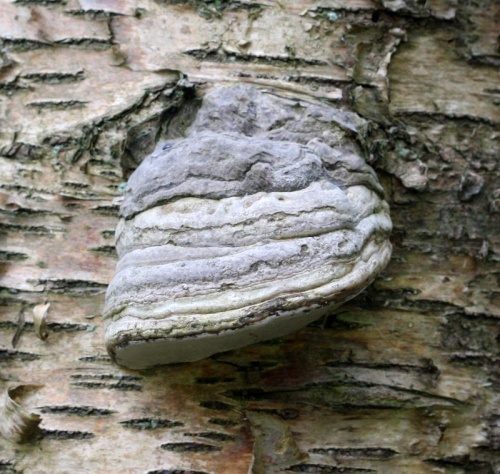 The species grows on the side of various species of tree, particularly favouring Birch, which it infects through broken bark, causing rot. 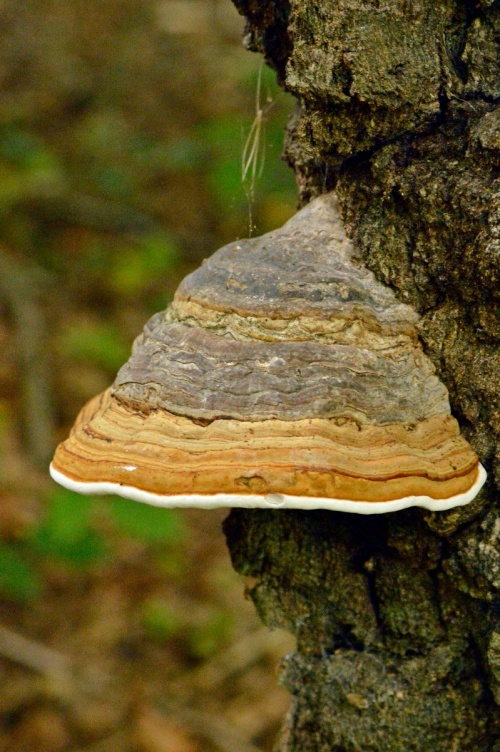 The species typically continues to live on trees long after they have died, changing from a parasite to a detrivore. 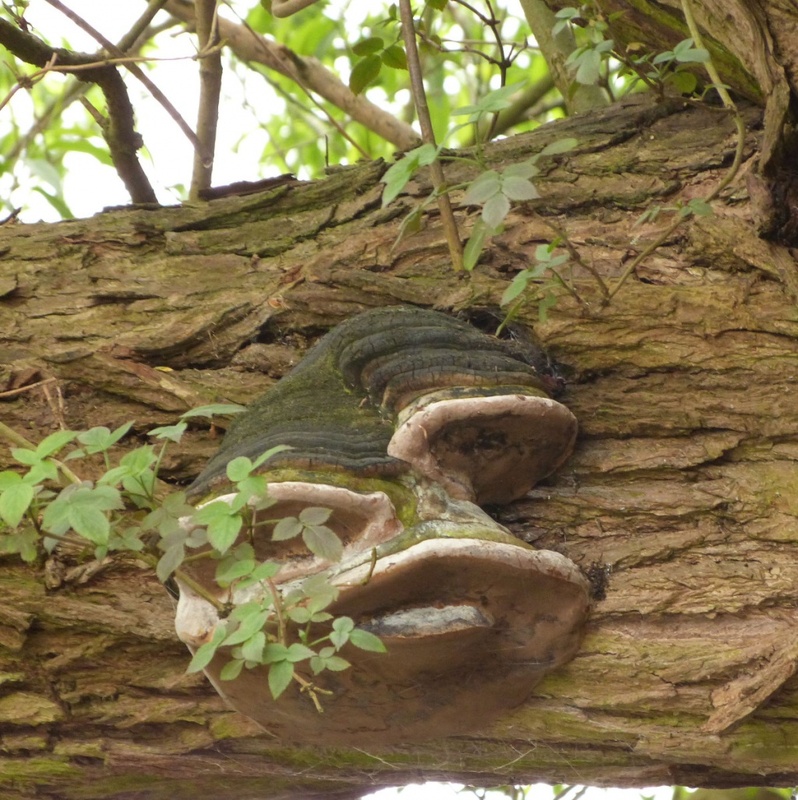 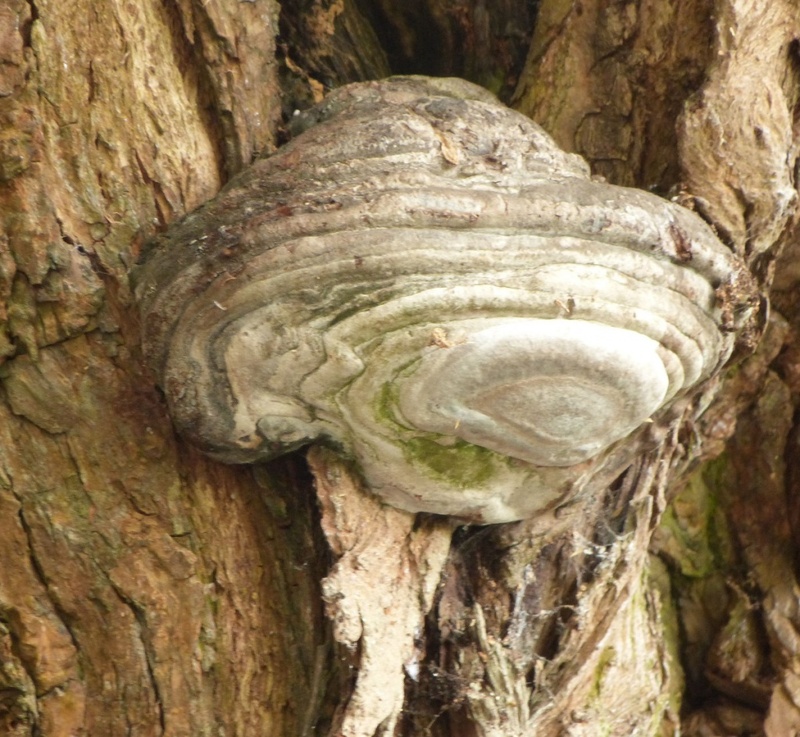 Unusually for a bracket fungus the spores are white and are discharged in spring. 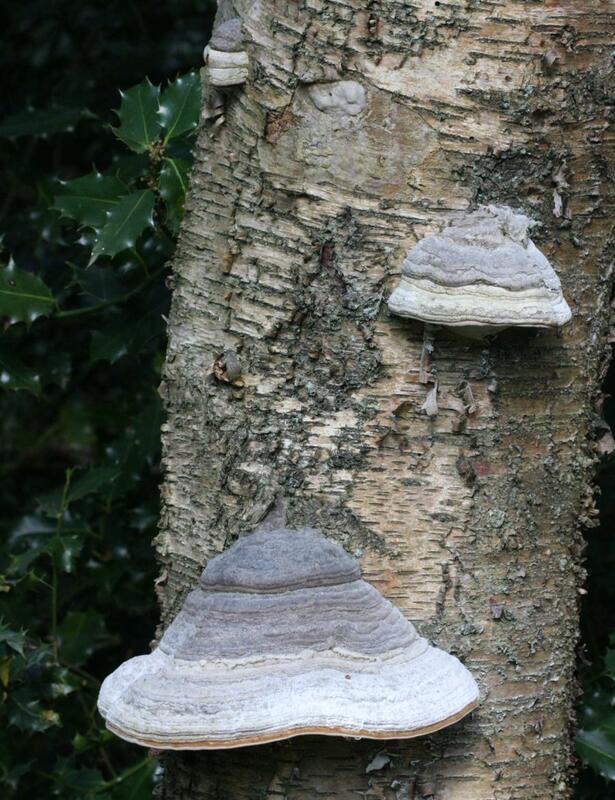 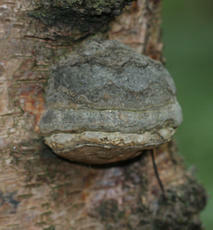 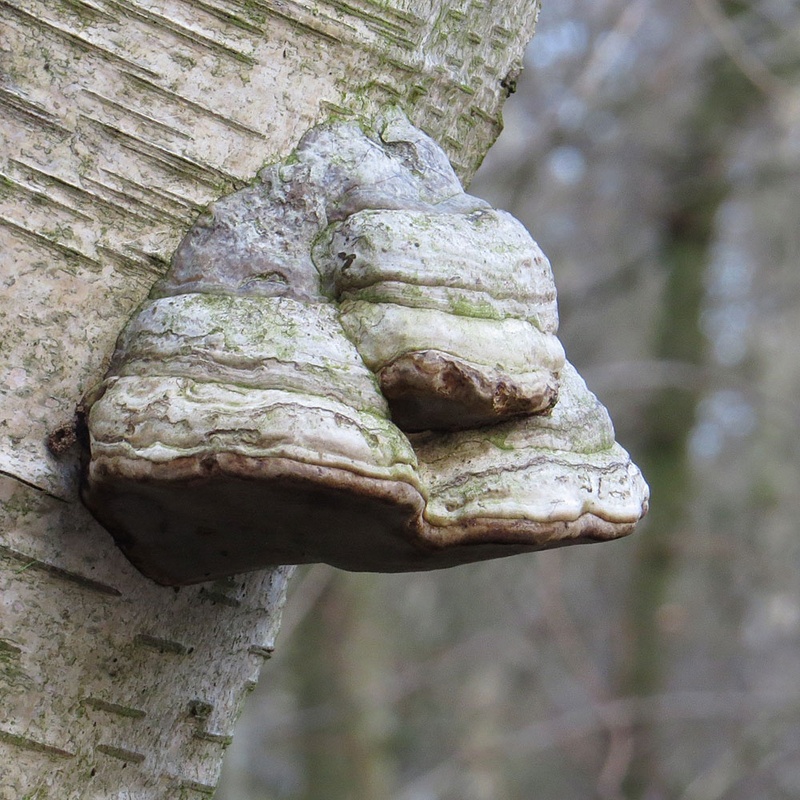 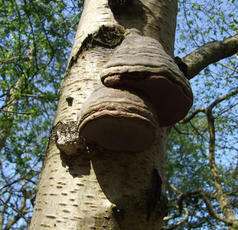 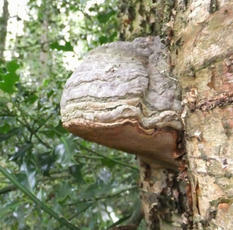 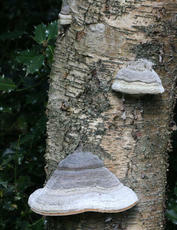 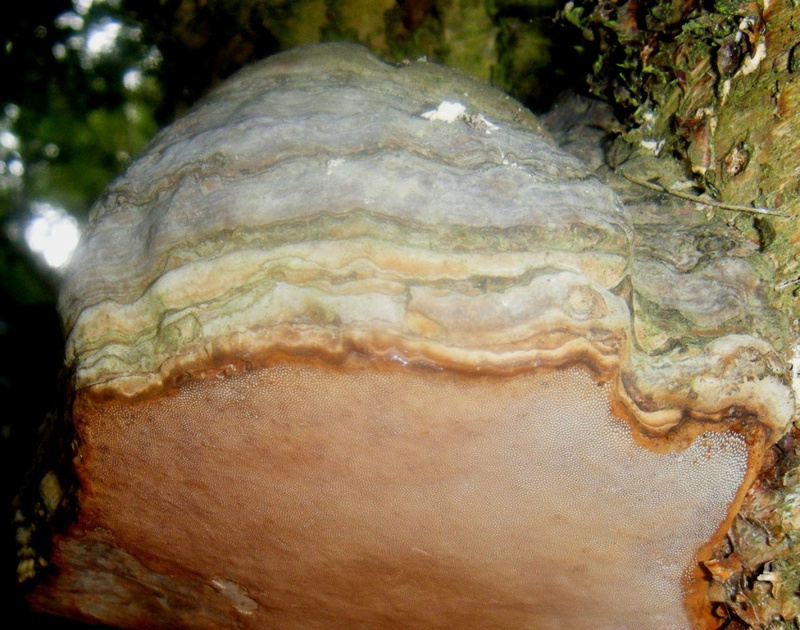 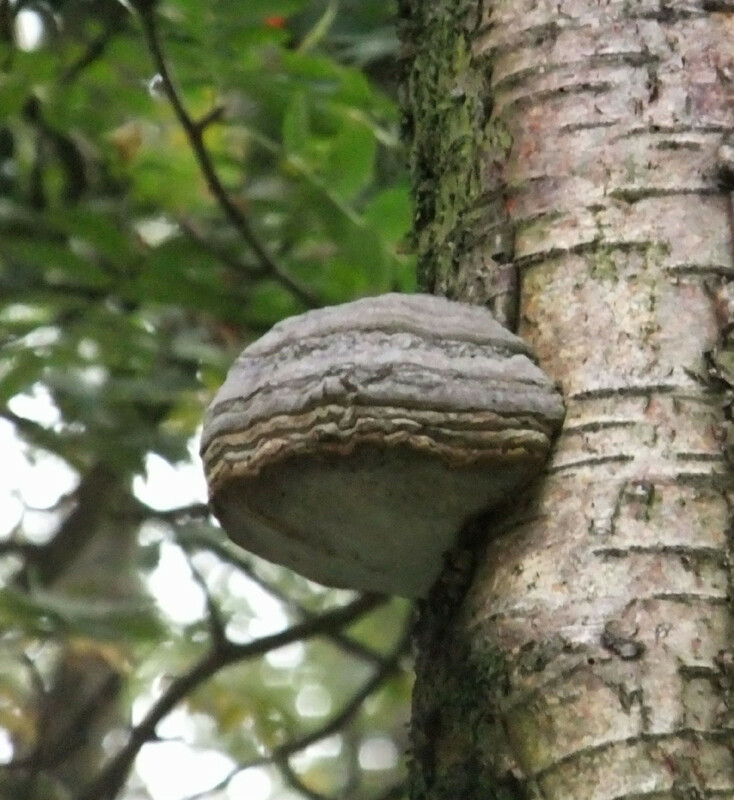 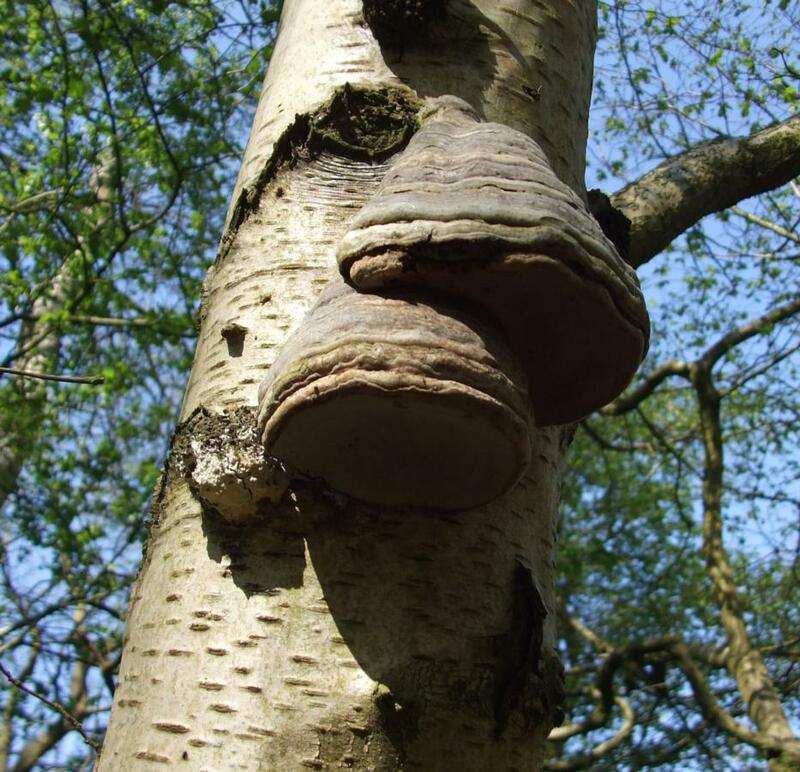 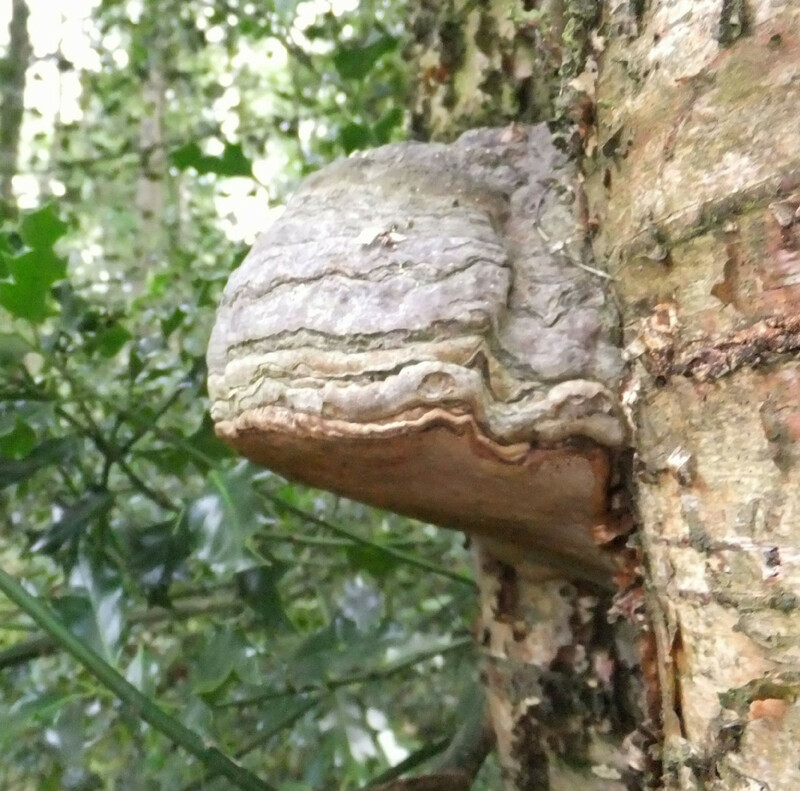 Has a northern distribution where it displaces the Birch Polypore in Birch woodlands, particularly in Scotland. 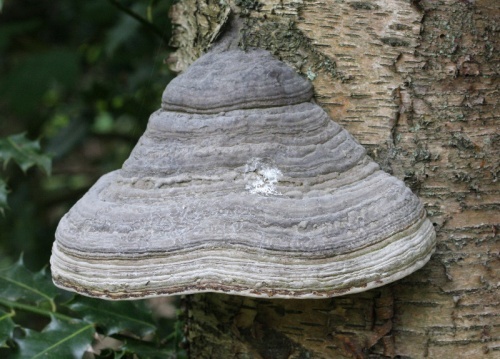 Has been increasing in southern counties, where it was formerly very rare. 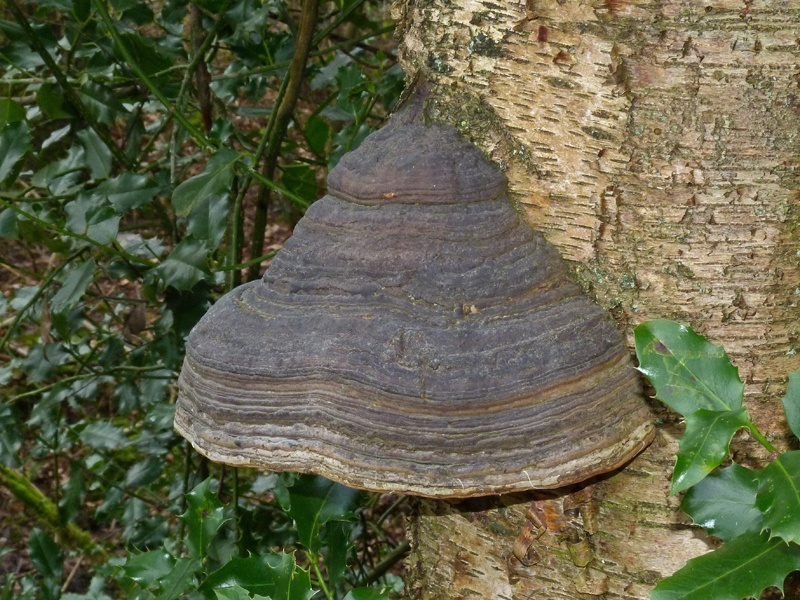 Formerly rare in Leicestershire and Rutland but increasing rapidly in the woodlands of Charnwood.